Oppo F9 Pro was launched in India last week. Cells of OPPO F9 Pro have started today. This handset of handset maker company Oppo will be sold at the offline retail store in addition to the e-commerce website Flipkart, Amazon and Paytm Mall. Remember that the pre-booking of Oppo F9 Pro was being done on Flipkart. Oppo F9 was also launched with Oppo F9 Pro. There is the only a difference of RAM in both the handsets. The specialty of Oppo F9 Pro is the VOOC Flash Charge technology for dual rear camera setup and fast charging in it. With the help of this technology, the phone will give 2 hours of talk time in just 5 minutes of charging. The price of Oppo F9 Pro in India is 23,990 rupees. This handset will be available for sale in Purple, Sunrise Red, and Twilight Blue Color variants. Now get the talk launch offer. 5% discount on payment by SBI, ICICI and Axis Bank Credit Card The Geo user will get 4,900 rupees (Geo and Make My Trip) with 3.2 TB 4G data. One time screen replacement offer is also being offered with Oppo F9 Pro. Customers can also buy Oppo F9 Pro on non-interest EMI. Explain that all these offers will be available at Flipkart. Now talk about the offers received at Amazon India. 5% discount on payment from HDFC Bank Credit Card. Customers at Paytm Mall can also buy Oppo F9 Pro on an EMI without any interest. The promo code will also get 10 percent cash back. Oppo F9 Pro with dual-SIM Android OS 8.1 runs on ColorOs 5.2 based on Orio The smartphone will have a 6.3-inch full-HD + (1080x2340 pixels) display, with 19.5: 9 aspect ratios. The smartphone has the MediaTek Helio P60 Octa-core processor. 6 GB RAM / 128 GB storage will be available. Apart from this, both Variants also have support for MicroSD card up to 256 GB. The phone has a 16-megapixel primary sensor with F / 1.8 aperture on the back. Secondary sensor is 2 megapixels, whose incarnation is F / 2.4. And the LED flash is also given. The front panel has a 25-megapixel camera with F / 2.0 aperture. Oppo F9 will have a battery of 3500 mAh with Wake Flash Charging. The connectivity features include 4G VoLTE, Wi-Fi 802.11 AC, Bluetooth 4.2 and GPS. 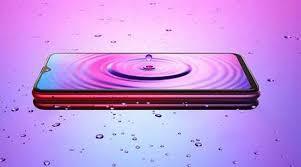 The dimensions of the smartphone are 156.7x74x7.9 millimeters and its weight is 169 grams.